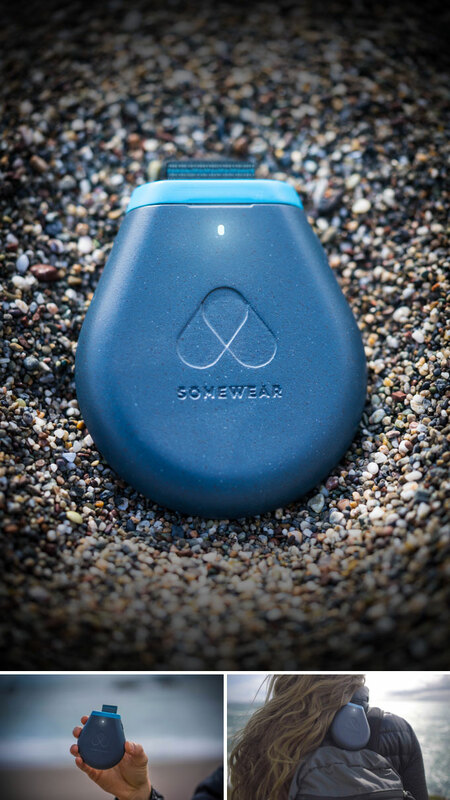 Somewear is a Bluetooth hotspot for mobile devices. It uses the Iridium satellite network for global coverage. It lets you send and receive text messages and location data, receive weather reports and local alerts, and it has an SOS button. It requires a $15/mo. plan.